Medical assistants are very important members of the medical team because of their training and knowledge scope. This means a great opportunity for those who are interested in a career as medical assistants, keeping an office or medical facility in track and ensuring that patient needs are consistently met. There are many important tasks that fall within the medical assistant job description. What’s the Medical Assisting Job Description? A medical assistant professional performs both clinical and administrative duties as required by the physician. 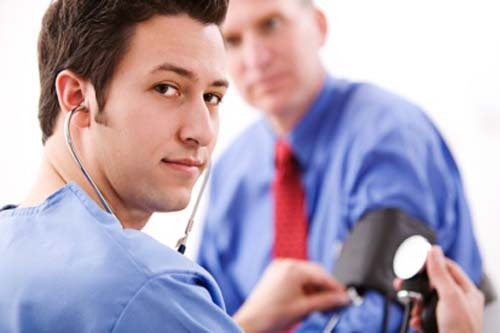 The medical assistant, as the name suggests, is trained to offer professional help to a doctor. The medical assistant jobs may vary from one state to another, but the common duties include recording medical history, taking and documenting vital signs. The medical assistant is responsible for drawing patient’s blood and preparing the patients for different medical examinations and procedures. As directed by the physician, the medical assistant is required to administer medication to patients, discuss patient’s prescription, and explain the patient’s nutrition plan to him or her. One of the important duties of a medical assistant is to schedule appointments, keep and maintain medical records, handle finances, and complete billing and coding for insurers are required. The entry level medical assistant jobs specialist can vary from one state to another, and from one doctor to another as well. But some of the common duties associated with this position will include administrative, clerical, and relational duties. It is the duty of the medical assisting to greet patients and make them feel comfortable and at home. As a medical assistant, you’re required to answer phone calls, use computer applications, update or record patients’ medical records and schedule appointments with the doctor. You’re also required to prepare laboratories, clean and sterilize operation tools, and ensure that the office runs smoothly. It is the responsibility of the medical assistant to instruct patients on their medication. Another job description for medical assistant is to prepare patients for admission. You will also handle correspondence. You’ll have to assist patients before and after their procedures by preparing them for every procedure, taking their blood samples and electrocardiograms, and removing sutures. In short, everything that falls within the scope of the smooth running of a medical office or hospital can be associated with the duties and responsibilities of medical assistants. General assistant professionals are in great demand today and the job is amongst the well paid jobs in the medical field. Generally considered as the “multi-skilled” health care professionals, medical assistants are highly sought for in areas like hospitals, private clinics, and ambulatory settings, where they offer assistance to physicians in different fields. As a medical assistant professional, you will be able to handle back end administrative duties, but you’ll also find yourself on your feet most often assisting patients with their needs, and offering help to the doctor attending to patients. This is one of the jobs that needs a lot of focus, attention to detail, and no room for error.